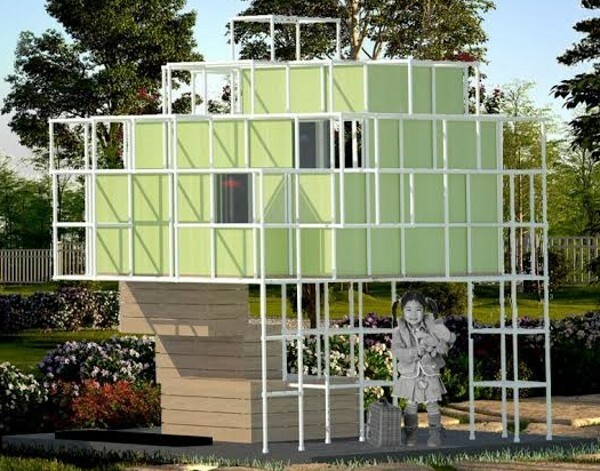 Just what do kids think makes a good cubby house? Ask me as a youngster and a couple of chairs back-to-back with a blanket draped over the top was a design that couldn’t be beat. I could never have dreamed of a cubby as fancy as this lot. 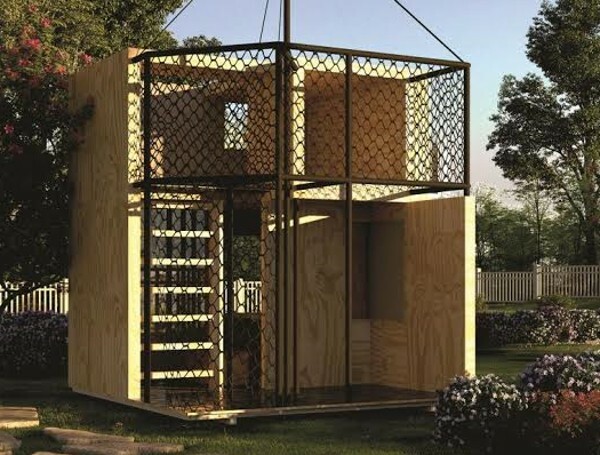 These five cubbies, put together by some of Australia’s biggest building companies, are competing for top honours in the Cubby House Challenge at the 2016 Melbourne International Flower and Garden Show next month. It’s all to raise money for youth homelessness prevention charity, Kids Under Cover. They will be on display at the flower and garden show in March and then the public will be invited to snap them up via auction. Can you imagine one in your backyard? Peter Maddison, host of Grand Designs Australia, is one of the judges who’ll put the cubbies through their paces to pick a grand winner, while garden show visitors can choose their own favourite for a People’s Choice Award. “Children can find pleasure in the simplest of environments, so a test for many of our designers is to find that important balance between over-engineering a cubby house and providing the right level of opportunity to allow kids to stretch their imaginations and simply play,” he says. Jo Swift, Kids Under Cover chief executive, says she wants to ensure that the cubby house designs get to the heart of celebrating the simple activity of play, but there is also a serious message behind them. “We are hoping to attract a wide range of bidders who will purchase the cubbies. Our goal this year is to raise $125,000,” Jo says. People can see the cubbies at the Melbourne International Flower and Garden Show at the Royal Exhibition Buildings in Carlton from 16-20 March, 2016.